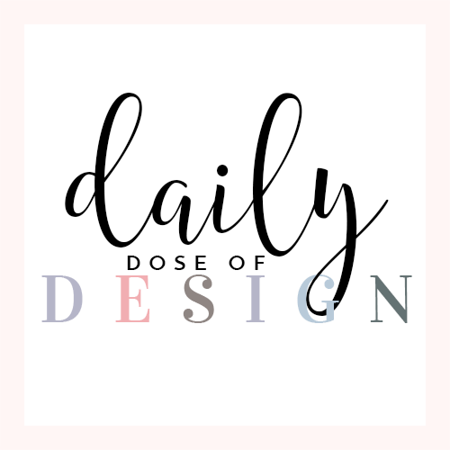 This post was sponsored on behalf of Alizé Passion. As always, all opinions stated are my own. We're only a few days away from the official start to summer and that means fun in the sun with friends, family, good food and yummy drinks! I'm not a huge fan of all alcoholic beverages other than the occasional glass of wine, but in the summer I love to have fruity drinks - my favorite! 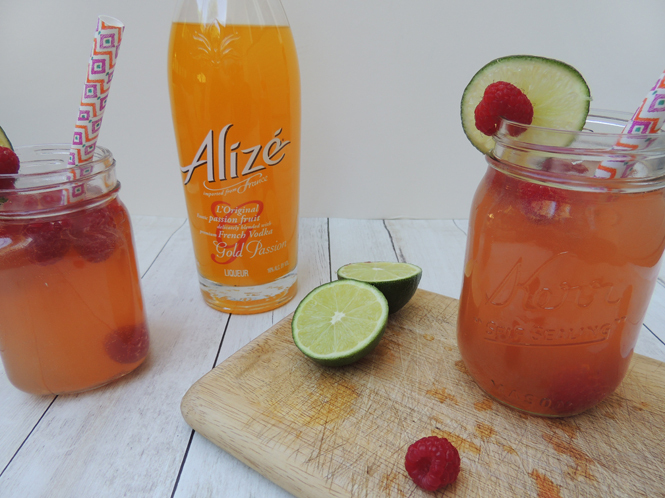 I'm so excited to have partnered with Alizé in putting together a few fun recipes to make with this super yummy French Vodka. Using the Bleu Passion and Gold Passion, I've literally found my two favorite summer drinks. You're able to make such refreshing, unique and inviting cocktails that you can share with friends and family all summer long! I'm so loving sitting by the pool with these drinks! 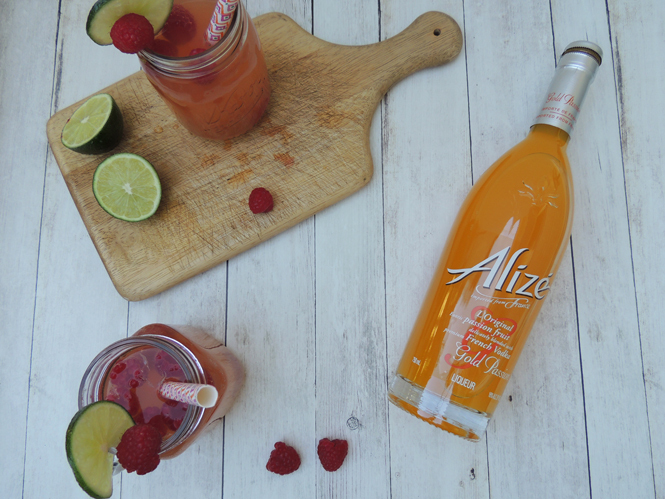 From the moment I popped the Alizé Passion bottles opened I was so excited - I knew they were going to be so good because they smell insanely delicious! Raspberries, lime and mint - when I first received the Bleu and Gold Passion's I thought about how I could tie the two into each other and make them compliment each other. Garnishing drinks with the same ingredients is a great way to pair different drinks together! 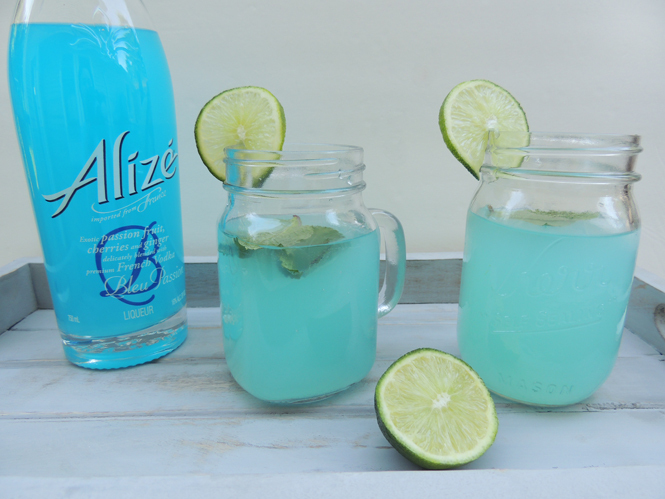 Mix together the Alizé Bleu Passion Vodka, lemonade and club soda in a shaker. Shake well and pour into 8 oz glasses over ice. Squeeze some fresh lime into the cups to taste and garnish with lime slices and mint leaves. This will make enough to fill four 8 oz. glasses and let me tell you, it is GOOD! The lemonade is the perfect sweet balance to this recipe. 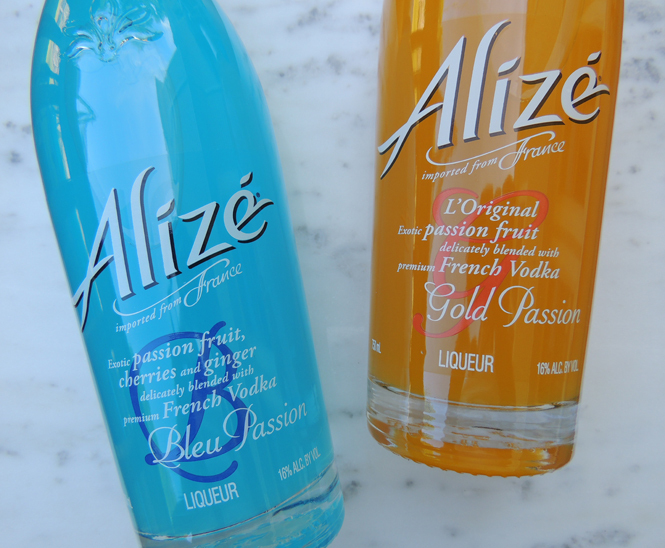 The Alizé Bleu Passion is the perfect blend of passion fruit, fresh cherries, ginger and French vodka. 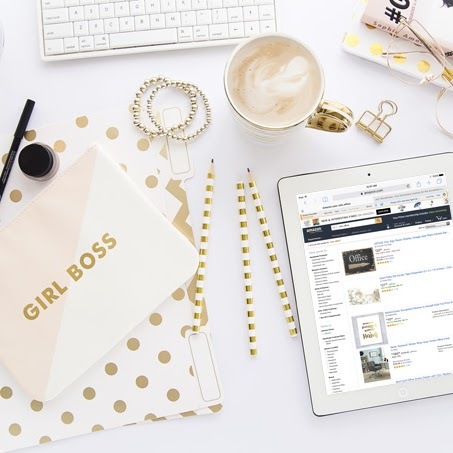 It's perfect for everyone and an added bonus is that it looks SO pretty! The prettier the drink, the happier I am! 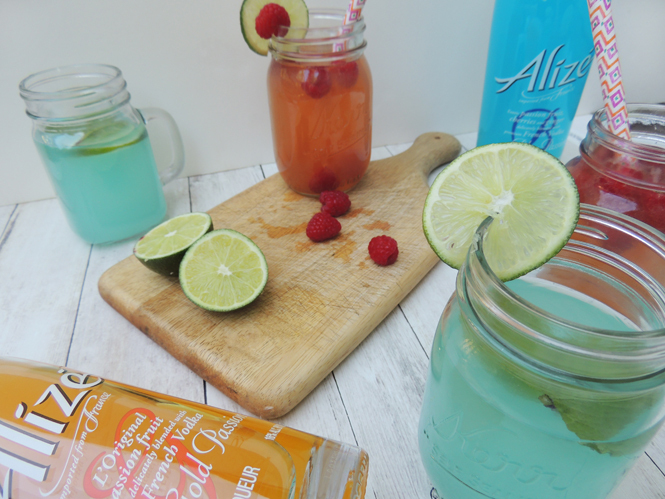 Combine the Alizé Gold Passion, raspberry lemonade (you can substitute this for pink lemonade if desired) and club soda and shake well. Pour into 8 oz. glasses on the rocks. Add a pinch of sugar (optional), a spritz of lime juice and 4-5 raspberries. 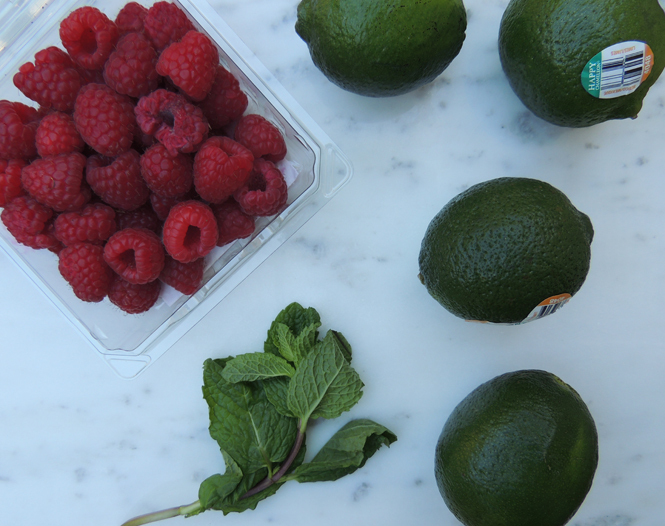 Garnish the glass with a lime slice and raspberry. The Gold Passion vodka is colorful, fun and is the perfect blend of passion fruit, French vodka and is super smooth and sweet! These two drinks are so yummy and it's hard to even pick a favorite because they have such different tastes. I think the bleu and gold passion vodka's compliment each other so well and having these two drinks side by side for your guests to choose from is the way to go - they're both super refreshing, fruity and SO perfect for summer. 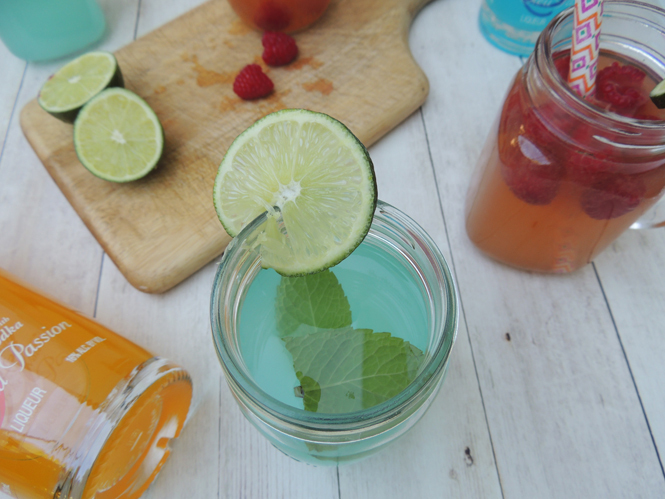 I absolutely love the way fun, fruity summer drinks look in mason jars and they're the perfect size too. 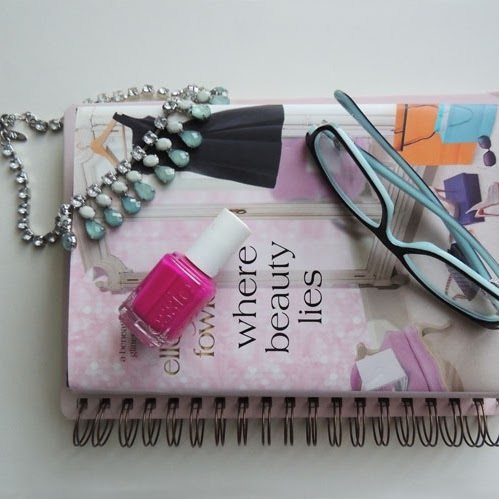 Add a fun straw and you are good to go! 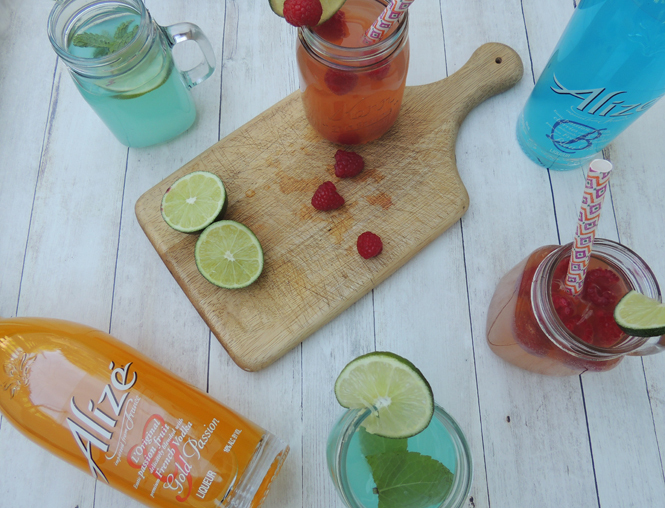 Alizé comes in four fun flavors: Bleu, Gold, Red and Peach Passion. I'm so excited to try the others; I highly recommend these amazing French vodkas for all of your summer get-togethers and to enjoy all summer long on the warmest days! 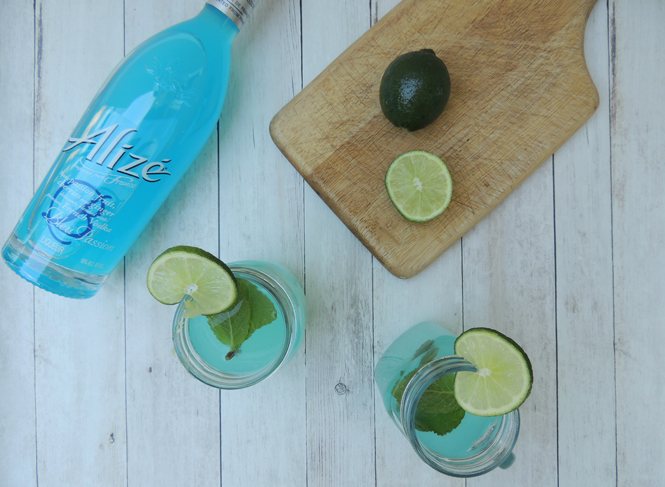 They're available nationally and you can find out more about each and even find some more fun recipes straight from Alizé. Yummy! This sounds so delicious. I'll be enjoying these by the pool this summer! Those sound so yummy plus I just love that blue color! 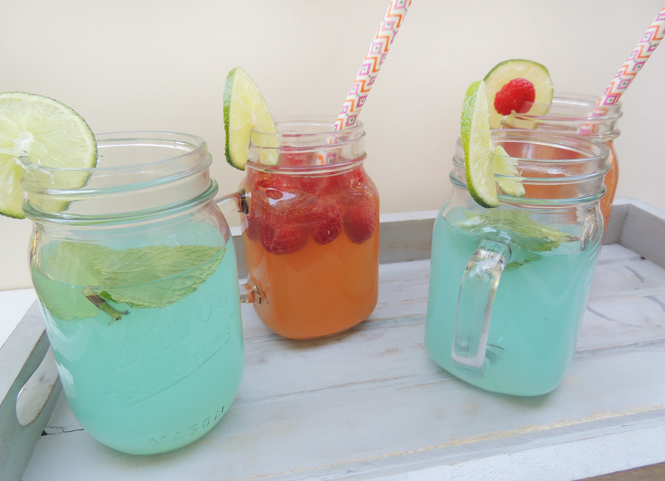 Perfect summer drinks! How cute are those?! It's like a little paradise you can have in your backyard! I have not heard of either of these vodkas but I like the colors!! These sound so delicious and would be perfect for a summer party! I'll be drinking these all summer long! That sounds SO good. I need to make myself one (or a few) of these this weekend. YUM. I love mojitos and definitely don't have them enough!! I've been curious about Alize, but have yet to try them. After seeing these two cocktail recipes, I definitely need to buy a bottle or two. I love a mojito, especially in the summer. It's cool and refreshing. I usually only drink my half and half twisted teas on kid-free weekends but this honestly looks worth trying. I can drink alcohol like this only if I can't taste the alcohol - so wonder if it tastes super fruit or not? I prefer tasting a fruit or other flavor beyond the liquor. This looks amazing! 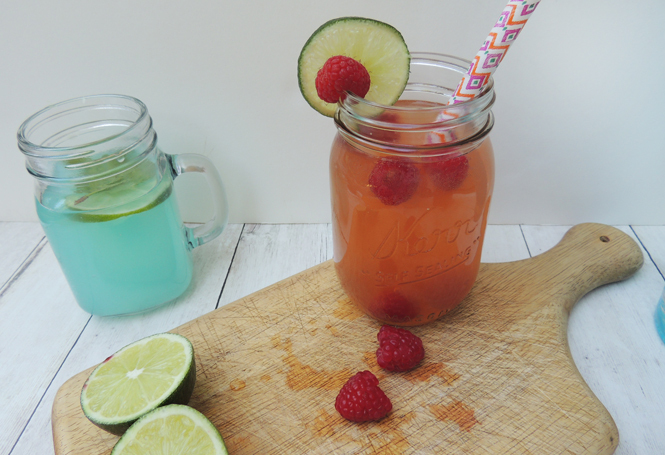 The perfect cocktail for summer! Oh my those cocktails look so yummy!! Yum!!! This looks delicious and much needed hahaha!! Drinks like these are perfect for the summer, especially when you're out having a barbecue with friends and family. 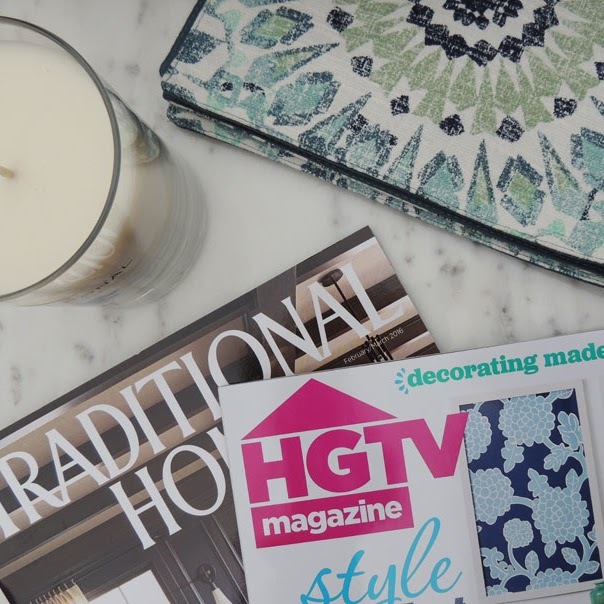 These are easy to make as well! These sound so yummy! I need to give them a try this summer. 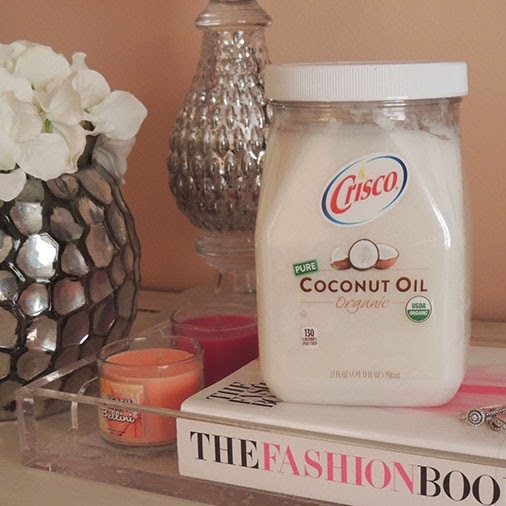 These look so good and cannot wait to try them this summer! 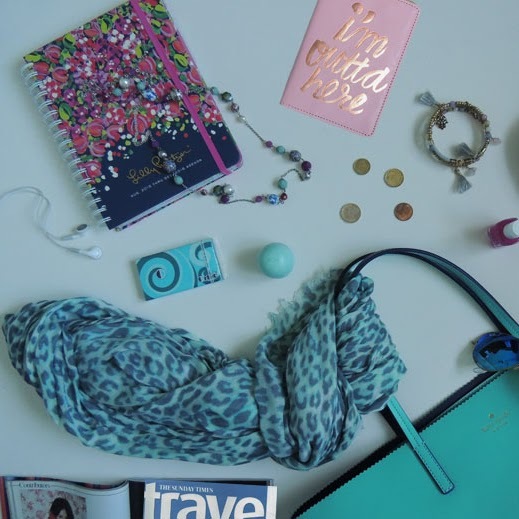 If this Bleu Breeze isn't calling my name than I don't know what is?!! Have to try this! This is what I need. I am planning of throwing a summer party at home, I'm sure these cocktails are delicious. Wow, I love these cocktails! I wish I can make one for our all girls party. It turned out beautiful and certainly very tasty! These look absolutely delicious! A great summer cocktail. This looks so delicious! I don't know why but I feel like any time I see a blue drink I know it's going to be good, haha. Those look so good! The Bleu Breeze Mojito sounds really good to me. I'll have to give that one a try. I bet they're going to taste wonderful. So colorful! These look amazing. I've never tried any of these liqueurs. These recipes sounds so delicious and refreshing though. I'll have to give them a try this summer. Hello! These look delicious! I have just become a big fan of mojitos! I LOVE them! Yummy, yummy! 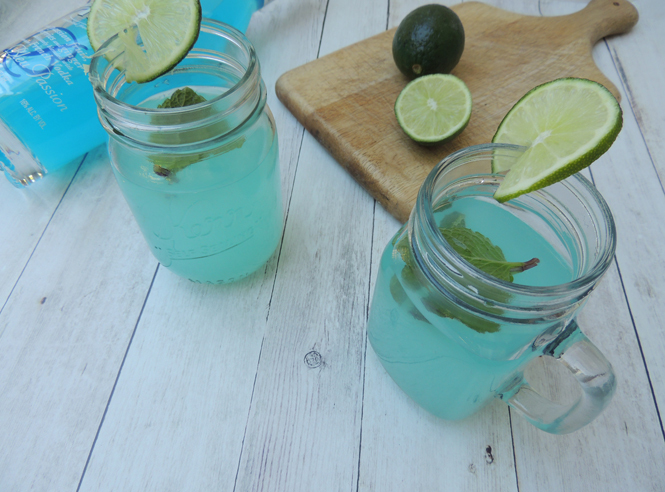 This sounds perfect to sip pool side this summer! I'm ready to make this Bali Sunset my favorite if you ask me! First time I've seen and hear Alize, I'll check their pages! My goodness, these are some wonderful cocktail ideas that would bring smiles to cocktail lovers anytime. Everything looks so refreshing & the colors are amazing as well. Yummm!! Mojitos are my favorite drinks! Anything with mint is a sell for me! What a fun summer cocktail! I also love the bright colors and fruit flavors. I could go for that mojito right about now! By taking two Detoxicated pills, before and after drinking you can prevent a nasty hangover from happening. Learn how to reduce hangover symptoms with more information from the website.